The great thing about the French is that they don’t see passion and love as something that has to be kept private, and they happily and proudly put their passion on display anywhere life takes them. It’s beautiful and inspiring to watch, and it’s quite contagious. 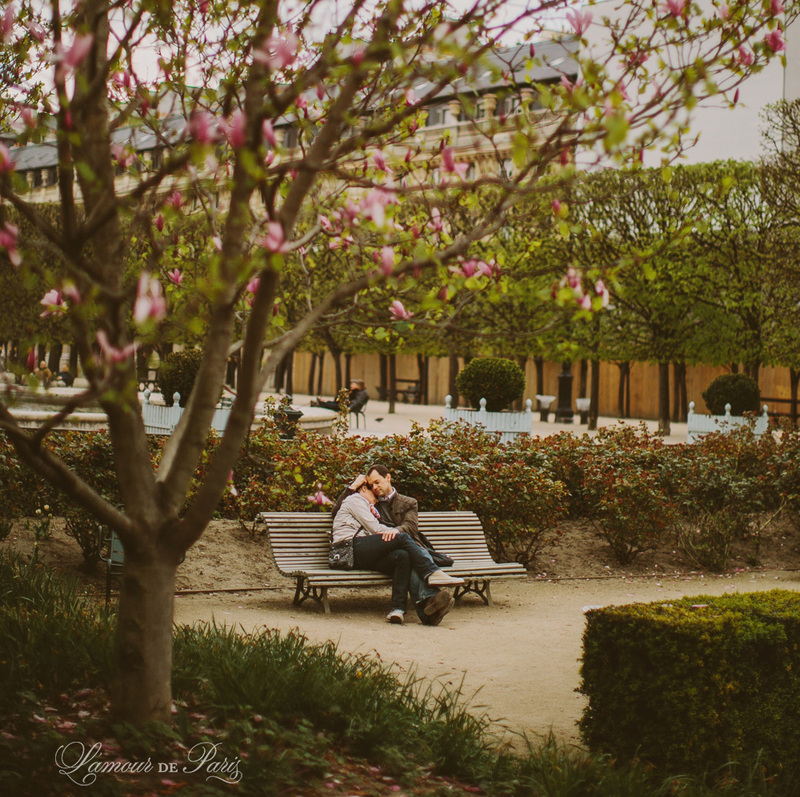 Being in Paris just makes you want to pull your loved one close, which means you can find sweet, intimate moments like this all over the city. 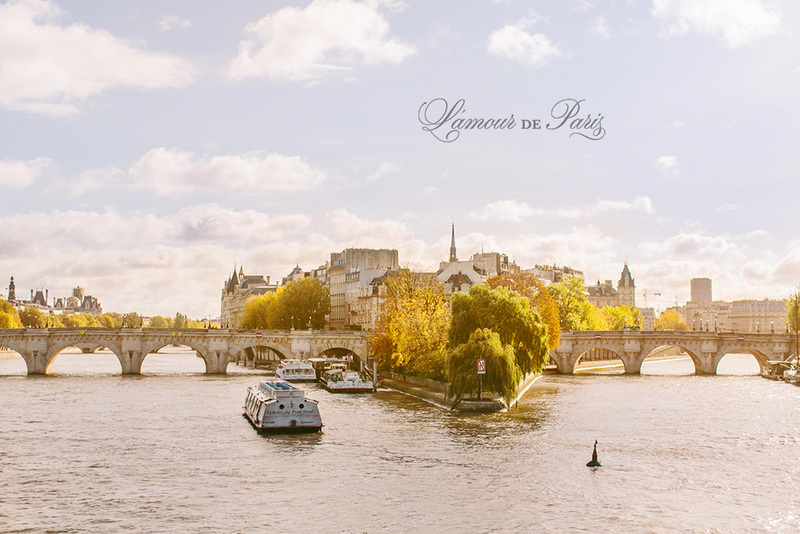 I love the pastel color palette of Paris on a sunny day. Light yellows, soft greens, baby blues, antique browns, and weathered ivories. I call them “map colors” and that palette inspired the design of this website and my entire brand. It’s so calming, peaceful, and beautiful. Erin Lassahn - So, so beautiful! Can’t wait to see it all in person this fall! I seriously could not possibly be any more excited about photographing the wedding of these two wonderful people this year in Paris. They are beautiful, stylish, and very good sports – as evidenced by the fact that they got up at the crack of dawn for a sunrise session that started at the Eiffel Tower and ended at the Louvre and Tuileries gardens. Also, how perfect is her dress?? There’s nothing I love more than a long, flowy, stunning dress, especially in such a bold color. I could have photographed her in that beautiful dress all day long!! Their love for each other is so evident in the images, you can see it in their eyes every time they look at each other and in the sweetness every time they embrace. 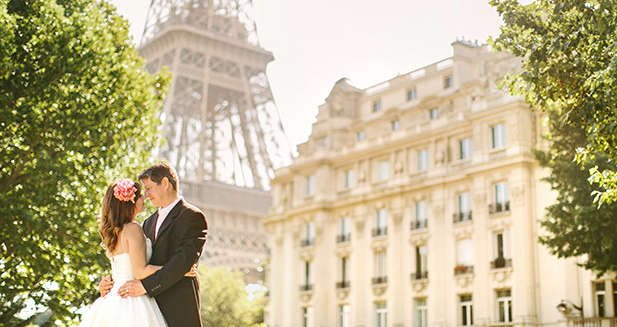 I cannot wait until they return to Paris later this year to say “I do.” Here are some of my favorites from their session! Shahed - Beautiful set of images- that sunrise photo is just magical!! Rainy afternoons make for some of the most beautiful evening sunsets. So many people retreat back into their homes when the storm clouds come, but I love to be more like Owen Wilson in Midnight in Paris, and go wandering the city sans umbrella, embracing the beauty and romance of the rain. Notre Dame de Paris, one of the most famous churches in the world, just celebrated her 850th anniversary last year. In celebration of this huge event, they installed new bells, a viewing platform outside the front entrance, and they updated the interior lighting to better show off the stunning gothic architecture inside. I often tuck into Notre Dame on rainy days, since admission is free and there’s plenty of room to sit and have a quiet moment to yourself. Every now and then I stumble onto a choral or organ performance, which is so hauntingly beautiful. Even if you’re not religious, it’s worth it to stop by and see the inside of Notre Dame de Paris. It’s quick, easy, free, and an amazing photo op! 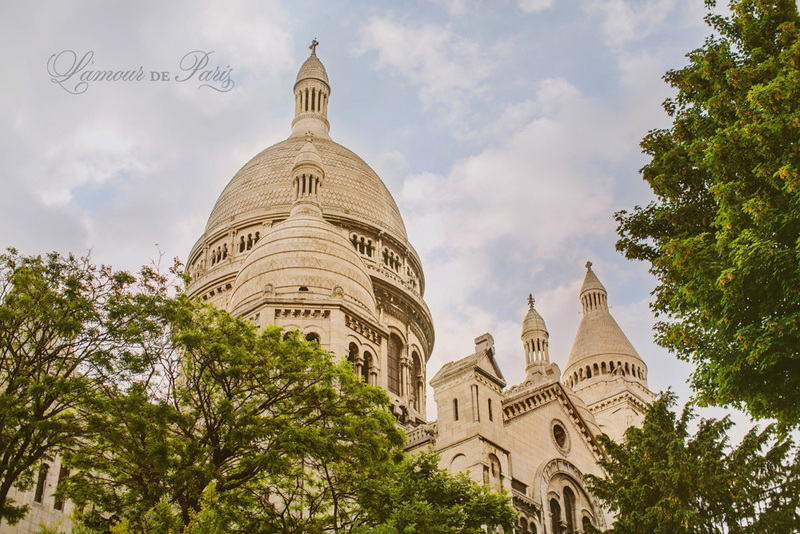 I also really love the area around the church, particularly the garden in the back where you can view the famous flying buttresses, the Pont de l’Archeveche lovers’ lock bridge, the nearby flower market, and the Île-Saint-Louis neighborhood.